How to Disable KM Player Sidebar with Ads in Windows 7/8/8.1: KM Player is one of the most used media player in Windows PC after VLC player. Usually, KM player is preferred by laptop users as VLC has the ability to damage laptop speakers if used carelessly. So, most of the laptop users prefer to use KM Player. It has got diversified features with customized options. KM Player can run almost all of the media-rich files like mpeg, 3gp, avi, mov, srt, mkv, etc. Since, it’s release, KM Player has garnered huge appreciation from software geeks. I personally prefer to use KM player in my laptop too. But, a recent change which KM Player developers has introduced has left many people annoyed and a lot of its users disappointed. The change was the initiation of sidebar which showcases advertisement from it’s server. These ads annoys most of the people and this was the reason that I too left using KM Player for some days until I get to know the way to Disable KM Player Sidebar with Ads. Although, there is an option available in KM player settings which allows you to disable KM Player Sidebar with Ads but it is of no use. Whether you choose to disable it or not, it always appears when you open KM player every time. So, here is the solution for it in this article. Follow the steps given in this article to Disable KM Player Sidebar with Ads in windows 7/8/8.1 . Also Read: How to remove unwanted toolbars from internet browsers. Also Read: Free Download & Install BBM for PC Windows 7/8/8.1/XP – Tutorial Guide. It is a multi-media player and can play almost all media-rich files. It has plenty of options and features to boost user experience. It is a very light and highly compatible software. It has additional features like 3D display, measured fast forward option, wallpaper view, etc. These were some of the amazing features of KM Player. Here are the steps to Disable KM Player Sidebar with Ads in Windows 7/8/8.1. Follow the below steps to permanently disable KM Player Sidebar with Ads in Windows 7/8/8.1 . Follow the method as mentioned to avoid any error. Step 1: At first, open Control Panel in your PC. Now, click on “Network and Internet” option. 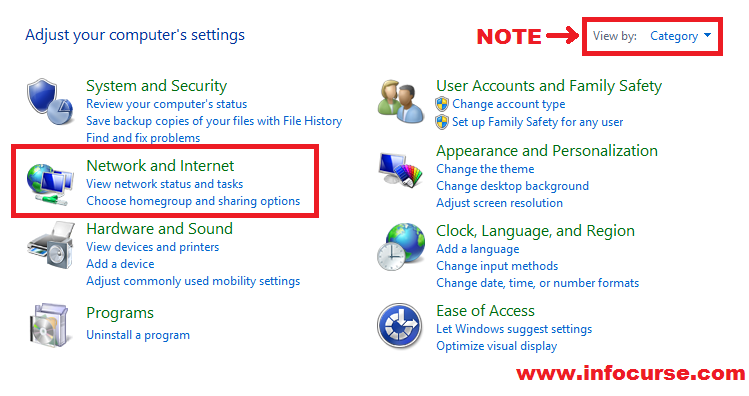 NOTE: If you are unable to find “Network and Internet” option in your control panel, then make sure to set “View by” setting as Category. After configuring it, you will find the option easily. Step 2: Now, click on “Internet Options“. Step 3: Once you click on “Internet Options“. A new tab window will appear on your screen. Select “Security” tab. Step 4: Now, click on “Restricted sites” option. Then, click on “Sites” option. 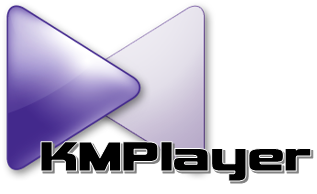 Step 5: Now, add player.kmpmedia.net to the restricted sites list. Then, save and close it. This will block network connection with the km player server. Step 6: Restart your computer or laptop. That’s it. You’re done. Now, open KM Player. 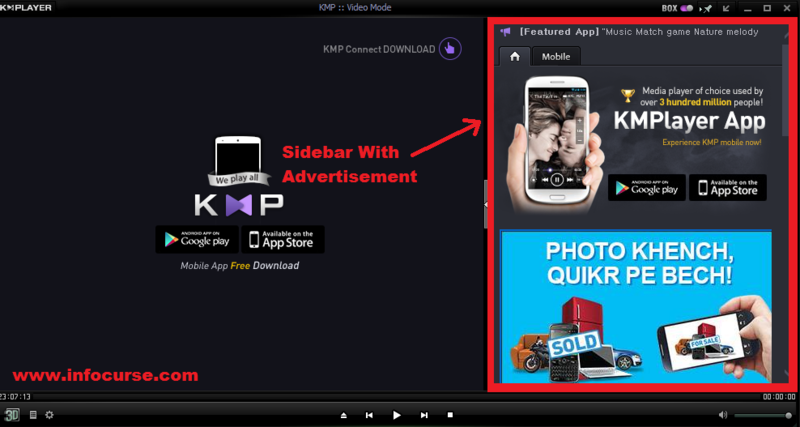 You will notice that sidebar with Ads from KM Player is successfully removed. You have disabled KM Player Sidebar with Ads in Windows 7/8/8.1 . Previous articleHow to put your iphone in DFU mode.